Have you ever wondered how to sharpen lawn mower blades? It’s a question that is frequently asked by homeowners who want to know if this is a do-it-yourself job they can do. The good news is that sharpening lawn mower blades is a chore that anyone can do, even someone who is completely new at it. You do not need any fancy or expensive tools to do the job, either, although power tools can make the job easier. Why Is Blade Sharpening Needed? 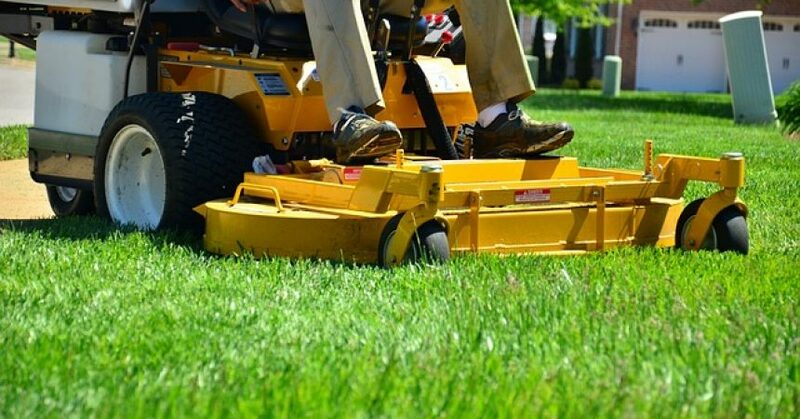 Using dull lawn mower blades to cut the grass can affect the look and health of your lawn. Dull lawn mower blades chop the grass instead of cutting it evenly, leaving a ragged edge on the blades of grass. Cutting with dull blades can leave your lawn more susceptible to disease. How Often Should I Sharpen Blades? 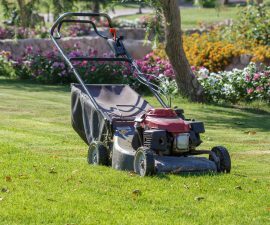 The general recommendation is to sharpen your lawn mower blades two or three times a cutting season. You should definitely sharpen them before your first cut in the spring. If you live in a warm climate, you may need to sharpen them more often. It is also recommended to re-sharpen your blades if you happen to mow over a rock, which can nick or damage the blade edges. Safety is important when removing the blades of a push mower. It’s important to insure that the mower cannot accidentally turn on while you are working to remove the blades. For safety, remove the spark plug wire which is located at the front or back of the push mower. Use up the gas in the push mower or drain it out, to avoid it leaking when you turn over the mower. You can either turn the mower on its side or turn it front to back to expose the bottom. Some users say it is easier to do the latter because it will eliminate the possibility that fluids can leak out when you do. You will also need to anchor the blade in some way, so that it does not move when you are trying to remove it. Most people wedge a 2” X 4” of wood beneath the blades to hold them tightly secure while they are removing them. Once you have done this, you can remove the nuts that hold the blades onto the mower with a socket wrench. Be sure to use the correct size socket wrench, so that you do not strip the nuts. The easiest way to remove the blades from a rider mower is to raise the mower off the ground. 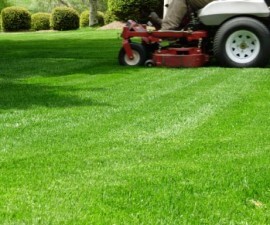 Your rider mower should be high enough off the ground so that you can safely reach its underside to remove the blades. Be certain that the rider mower is turned off when you are removing the blades. Use a lift to raise the rider mower off the ground. If you do not have a lift, you can raise the mower with several blocks of wood. Be sure if you do this to safely block the wheels, so that the rider mower can’t move out of position when you are working on it. Once you have removed the blades from either source, you will need to sharpen them using whatever tools you have on hand. Before you begin, be sure to put on safety glasses to keep flying metal specks from getting into your eyes. Place each blade in a vise grip to hold it secure. Use a metal file to sharpen the blade by holding the file at an angle and running it over the blade in short forward motions. Be sure to sharpen both edges of the blade. If you have a drill with a sharpening stone attachment, you can use this to sharpen the blade. You can also use a hand-held grinder or bench grinder, if you have these tools available at home. When you sharpen blades, you remove some of the metal from them. This affects the balance of the blades. It’s important to be sure that your blades are equally sharpened on both edges. Blades that are out of balance can damage your mower. To check them, you can purchase a balance. This is essentially a tiny metal cone. Place the center of the blade over the cone to see if either edge drops down. If so, that side is heavier and will need more sharpening. If you don’t have a balancing tool, you can also simply drive a nail into the wall. Hang the blade on its center onto the nail. If one side droops, it’s too heavy, and will need to be sharpened a little more to balance it out. Once your blades are properly sharpened and checked for balance, they can be installed back onto the unit for another cutting session. 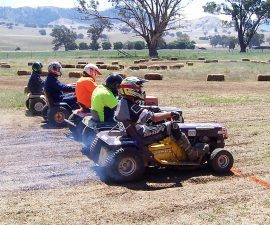 Want to tweak your mower to run faster? Read our DIY guide here!